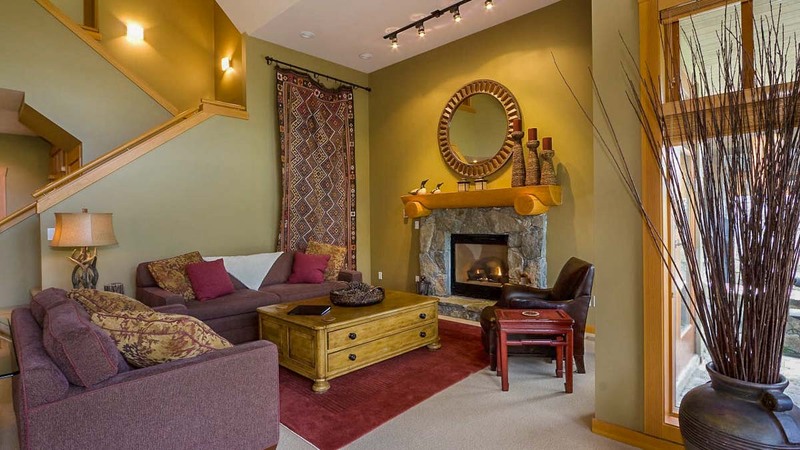 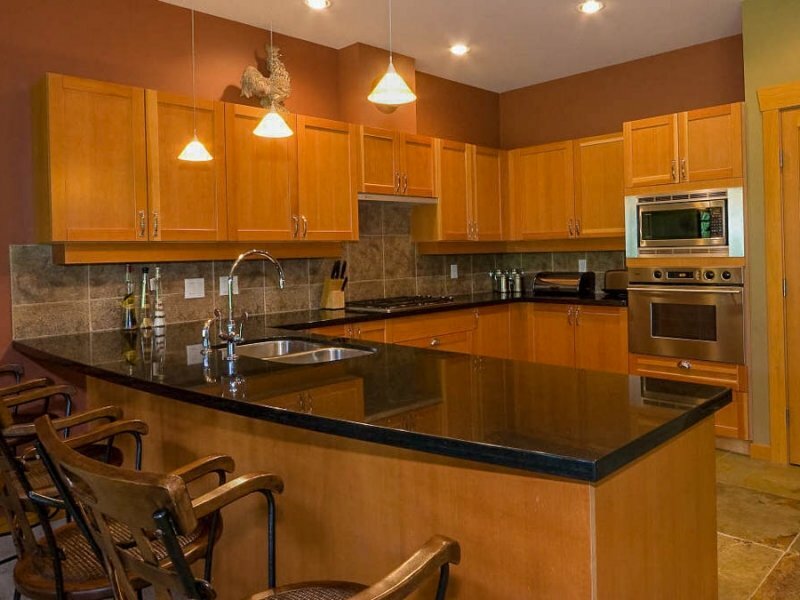 Goldenwood 8337 is an impressive 3 bedroom plus den, 2 level townhome with a private hot tub located on the 16th fairway of the majestic Nicklaus North Golf course. 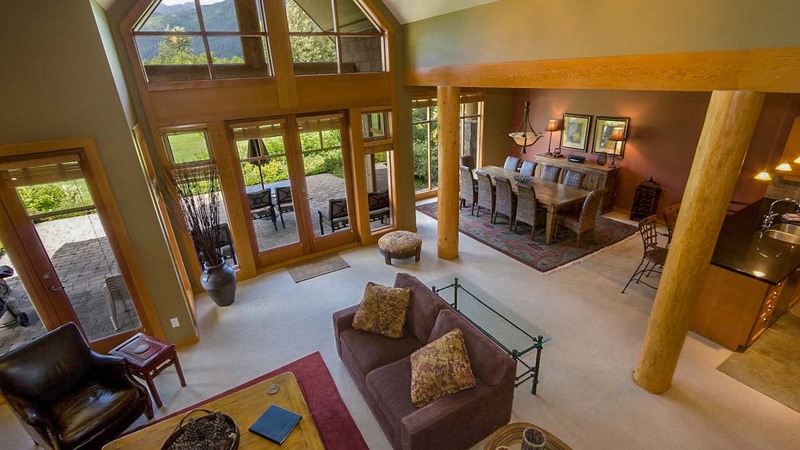 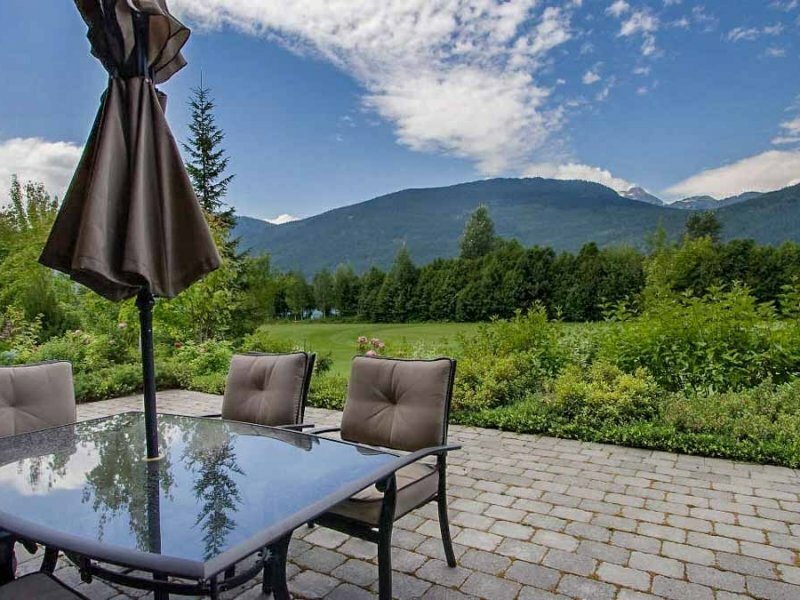 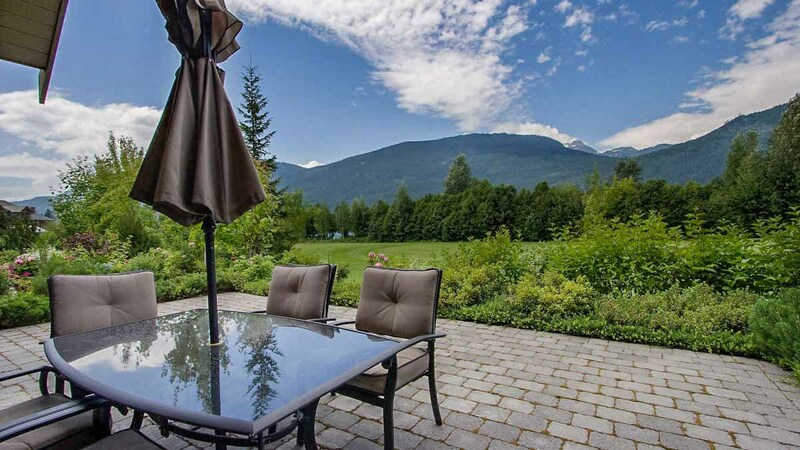 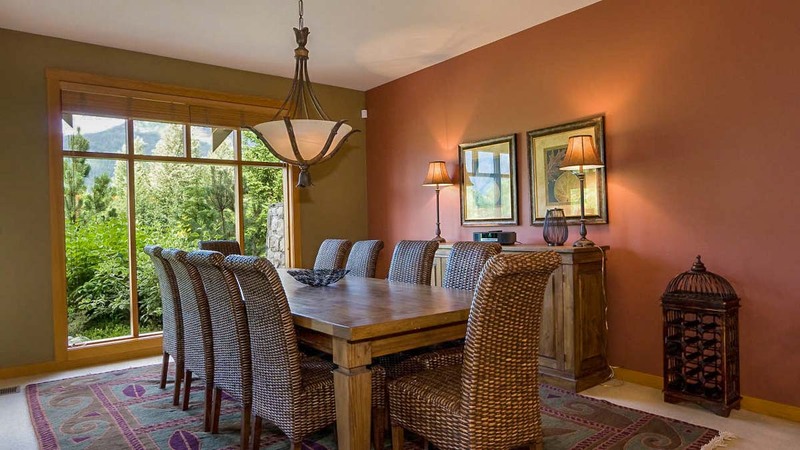 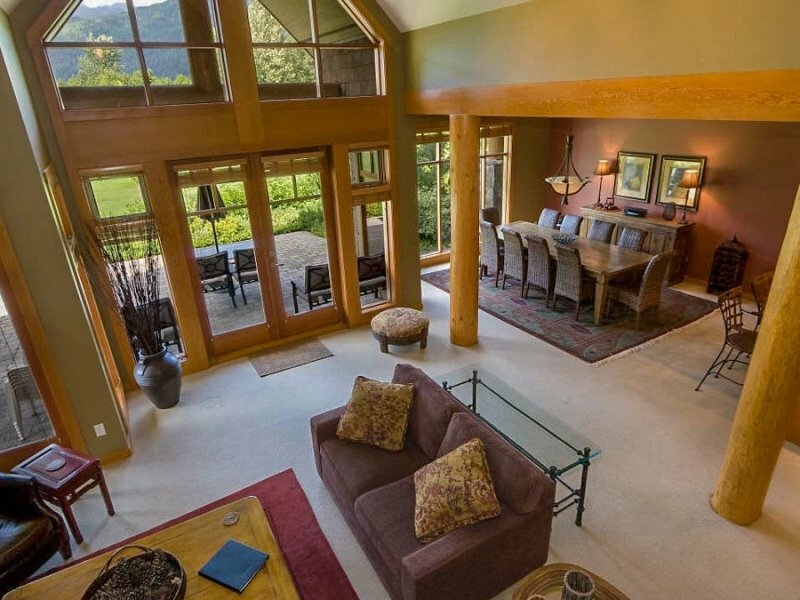 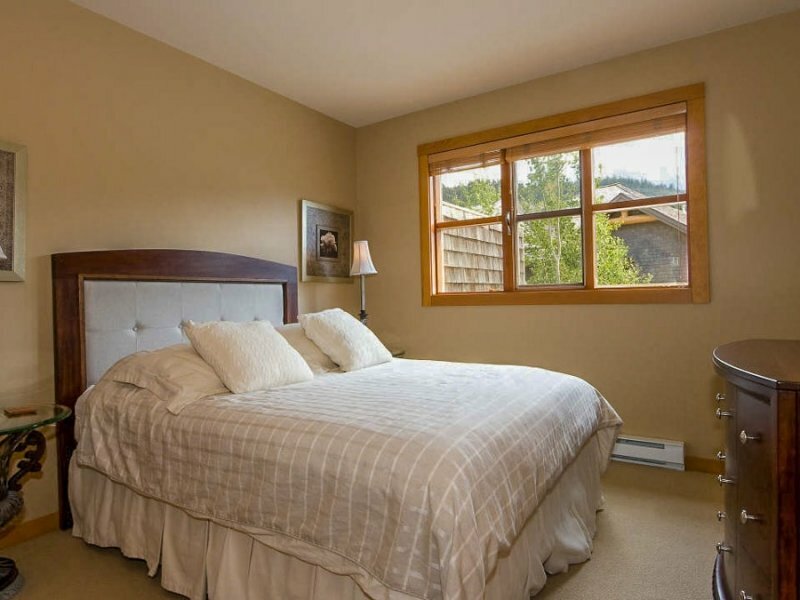 Just a short 7 minute drive from the slopes, this spacious home boasts panoramic views of both the mountains and Green Lake. 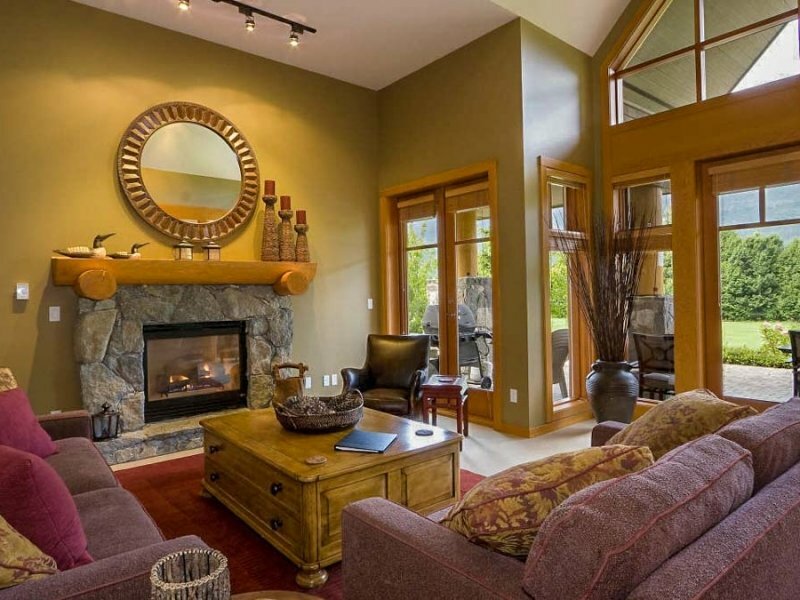 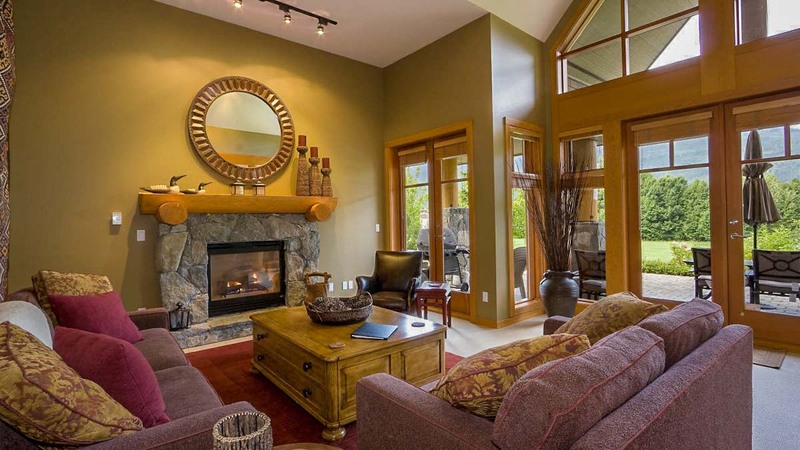 The open concept main level features vaulted ceilings, exposed log posts and beams and a spacious formal living room for entertaining (no TV) with a gas fireplace and glass doors leading to the patio and BBQ. 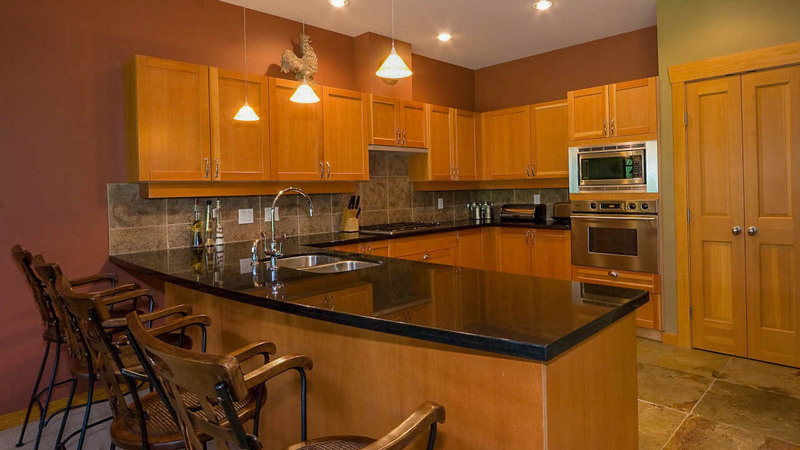 The open concept gourmet kitchen features granite counters, stainless steel Bosch and Sub-Zero appliances, radiant heated slate floors and overlooks the grand dining area that seats 10 comfortably. 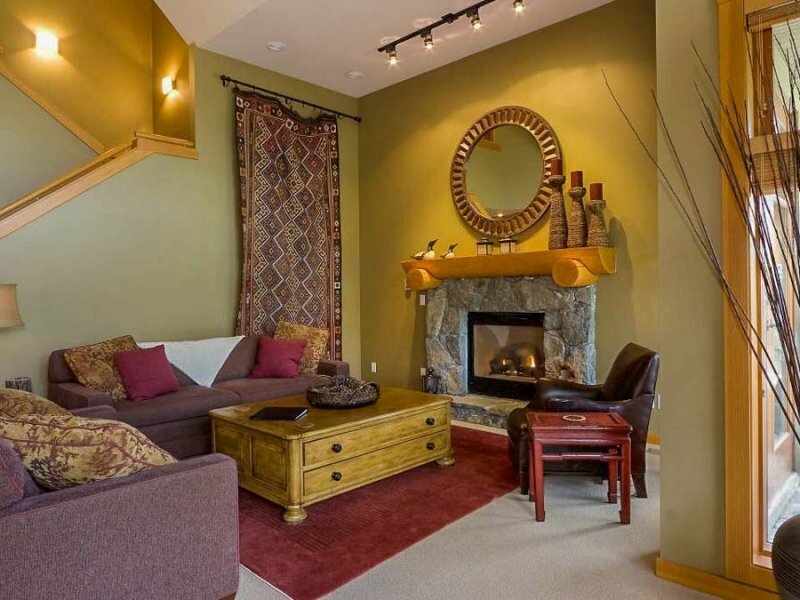 A small den on this main level features a flat screen TV with DVD player. 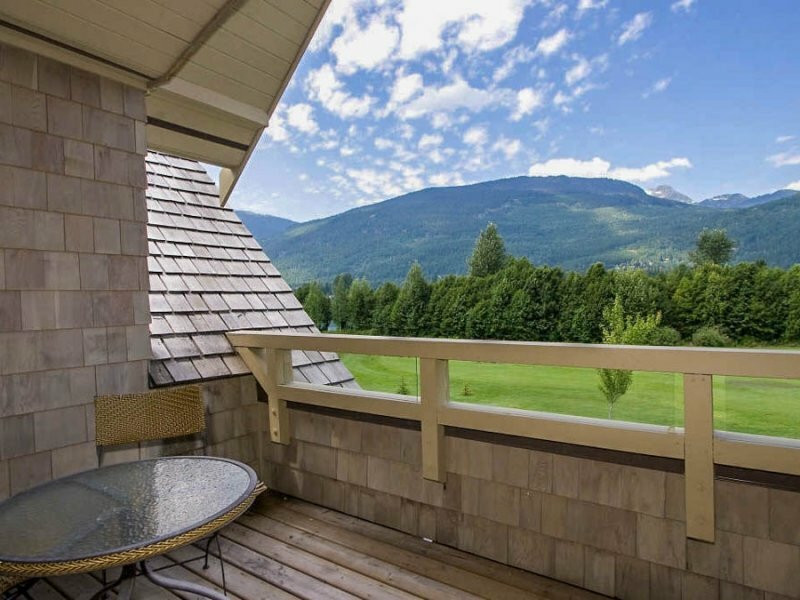 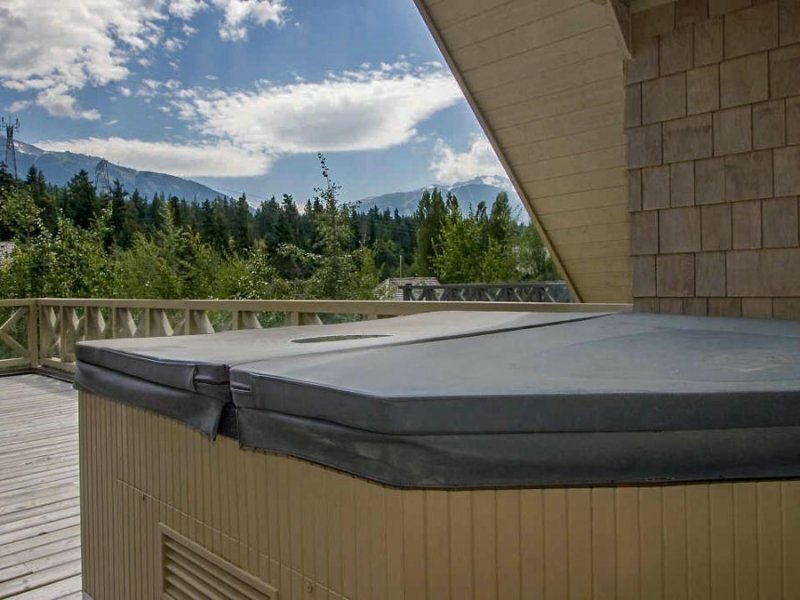 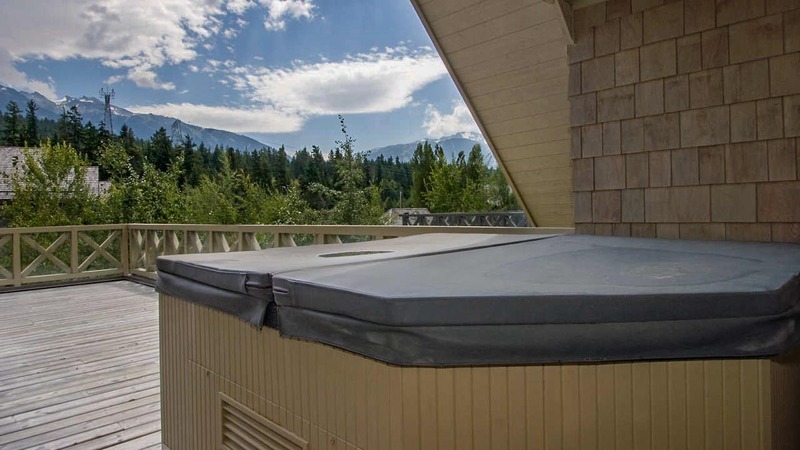 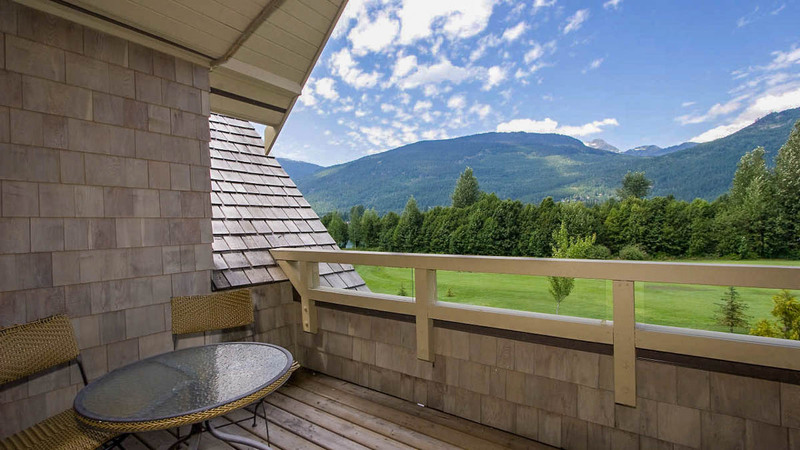 The private hot tub is located on the upper level deck and features scenic views. 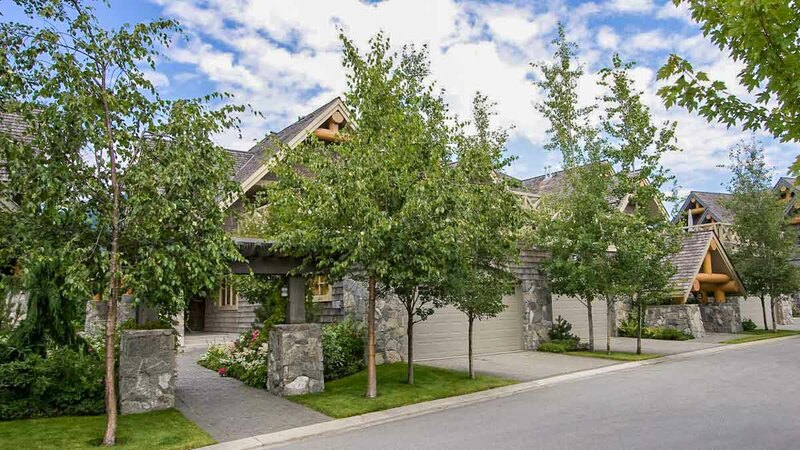 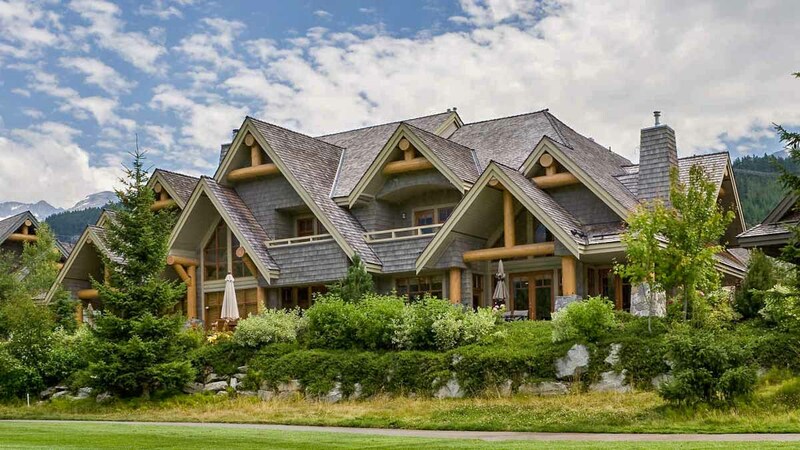 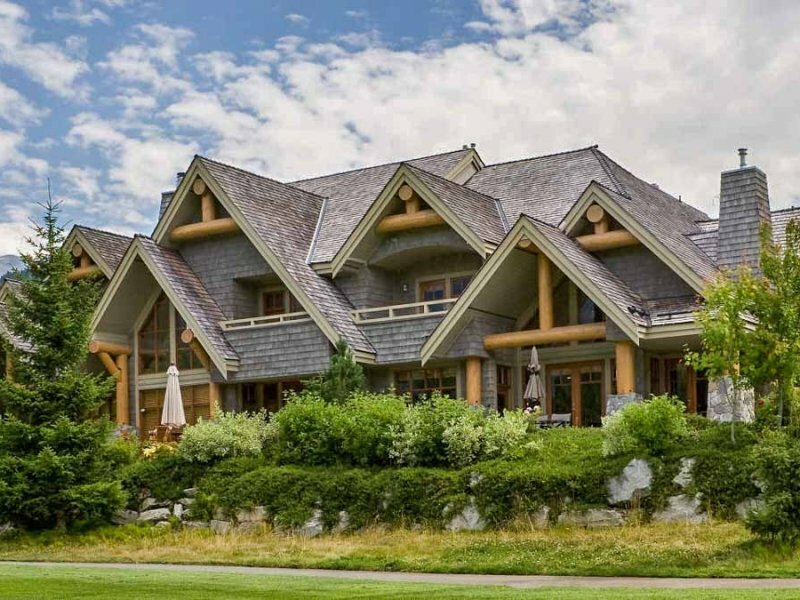 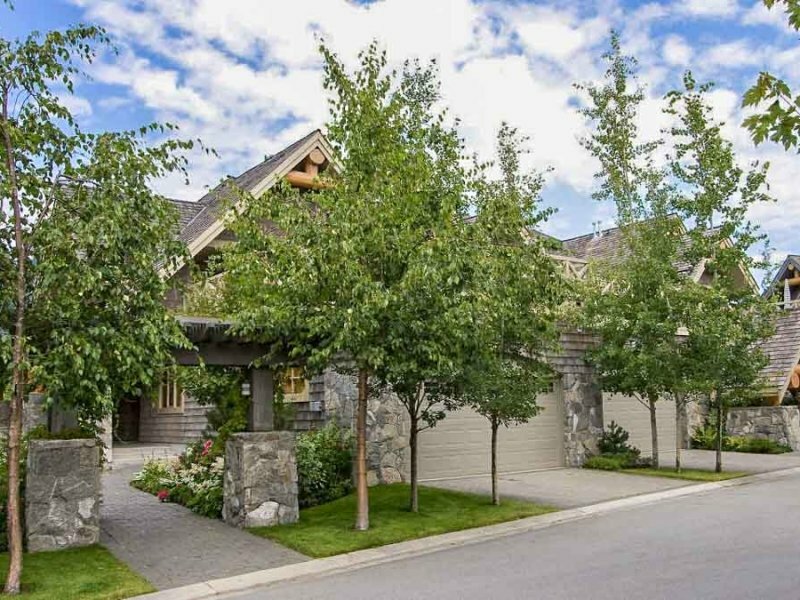 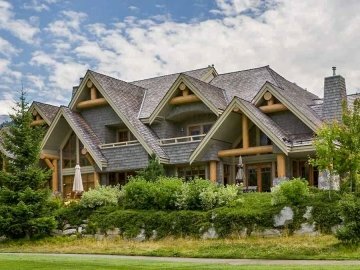 Goldenwood 8337 features a double car garage with parking for 2 small vehicles and plenty of room for all your ski, golf and bike storage equipment. 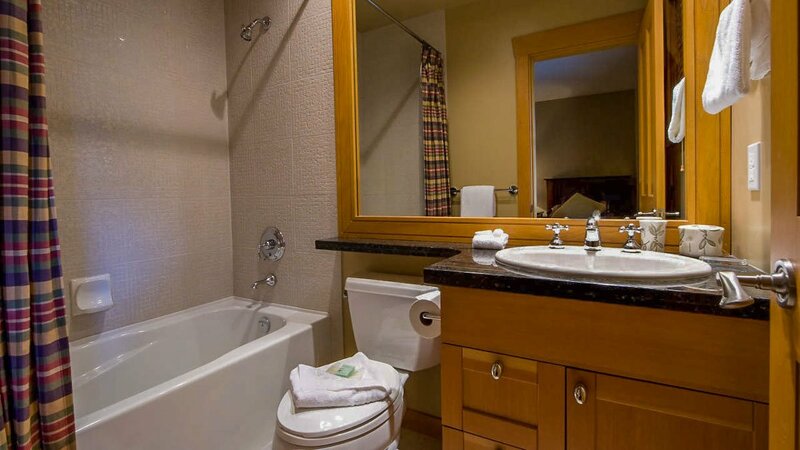 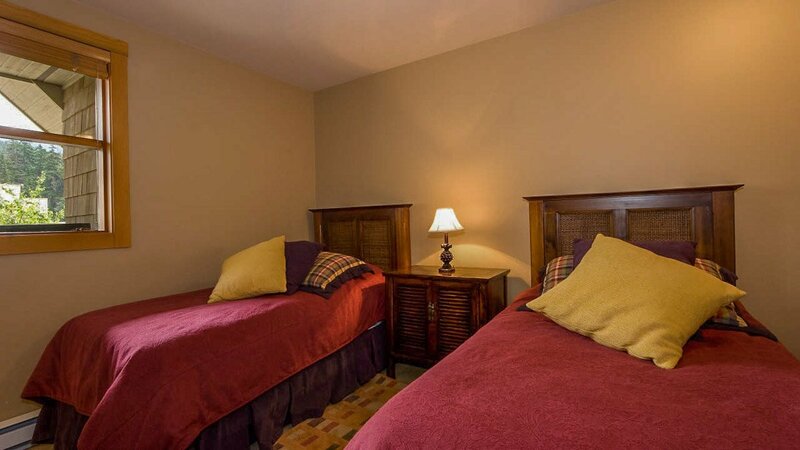 The home also offers in-suite laundry and complimentary wireless internet access. 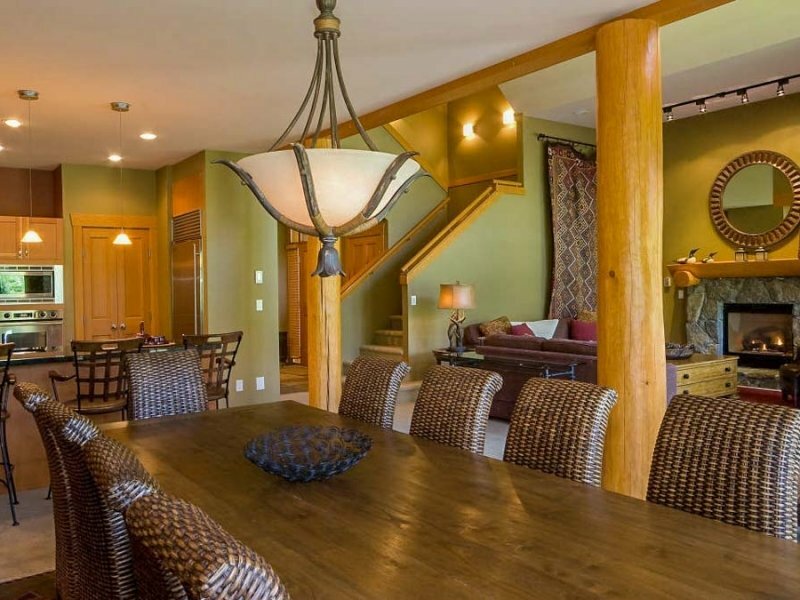 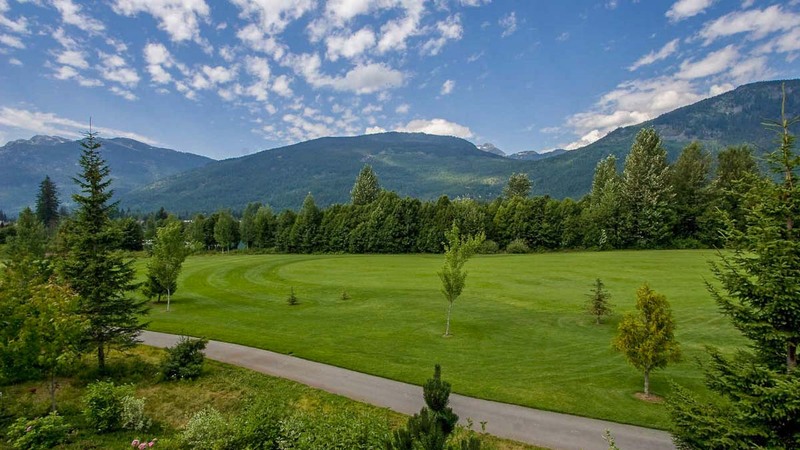 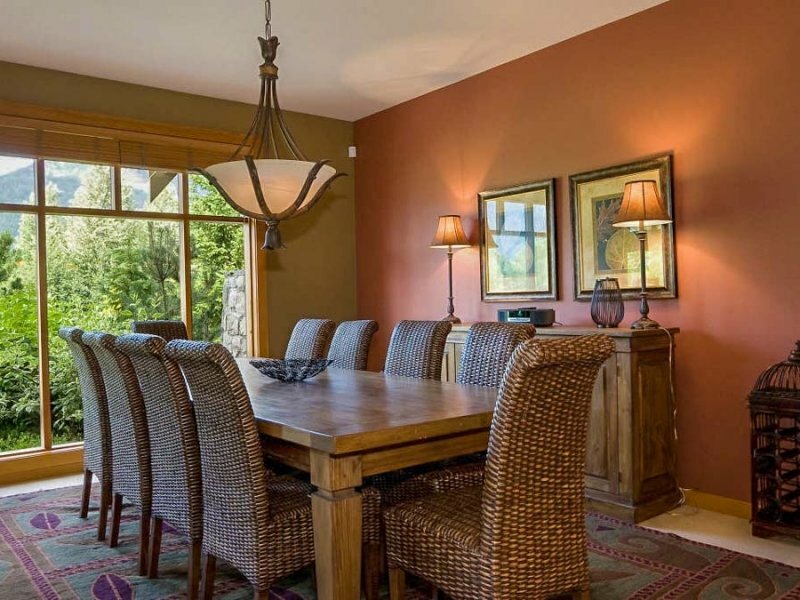 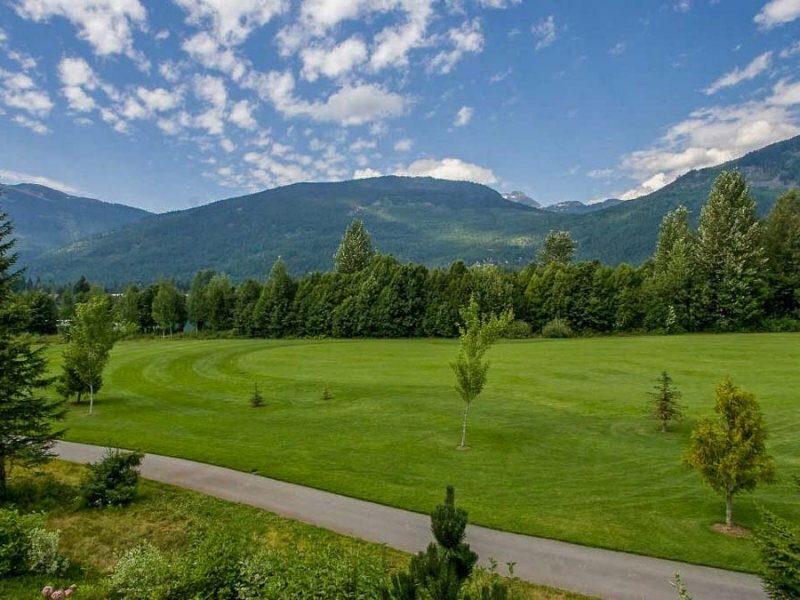 While ideal for a summer golf vacation, the short distance to the hill makes this home a popular choice all year round. 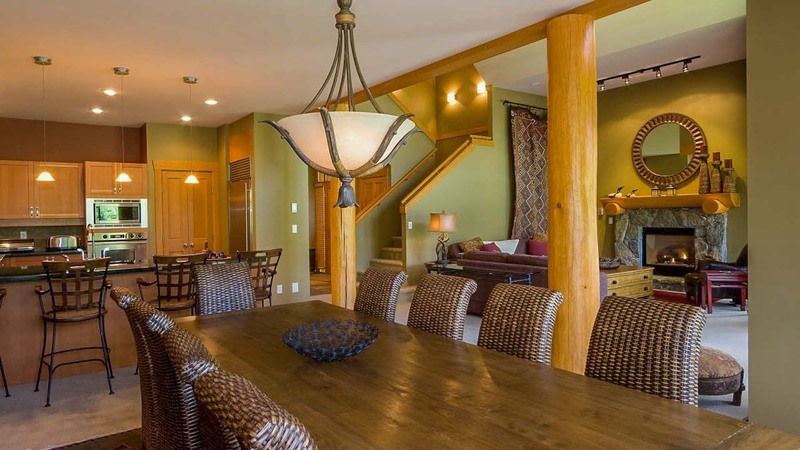 Combined with the neighbouring Goldenwood 8336, the 7 bedrooms and spacious living areas are well suited to a small corporate retreat, client entertainment or a family reunion. 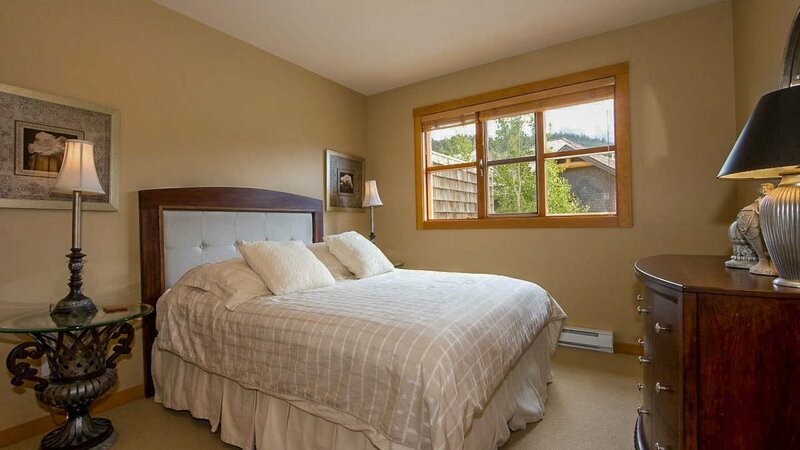 All 3 bedrooms are located on the upper level and each bathroom in the home features radiant floor heating. 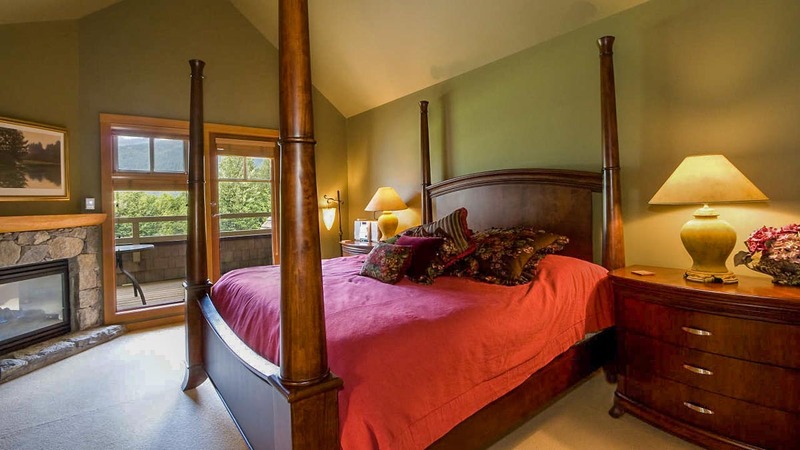 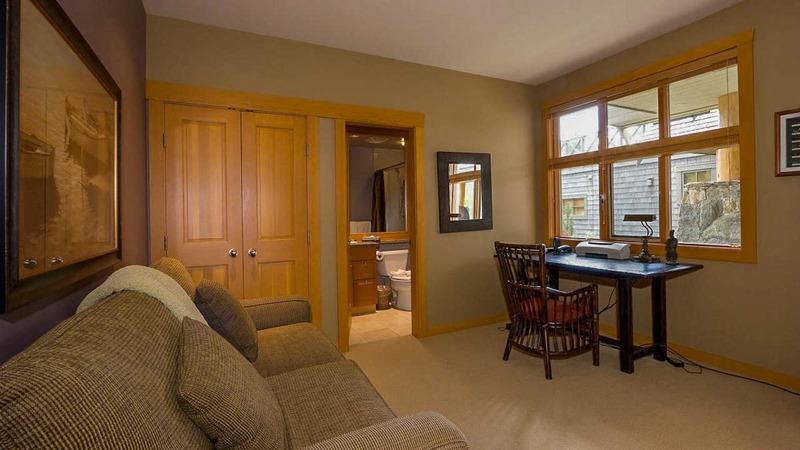 The master bedroom features a king bed, gas fireplace, a private balcony and small TV and DVD player. 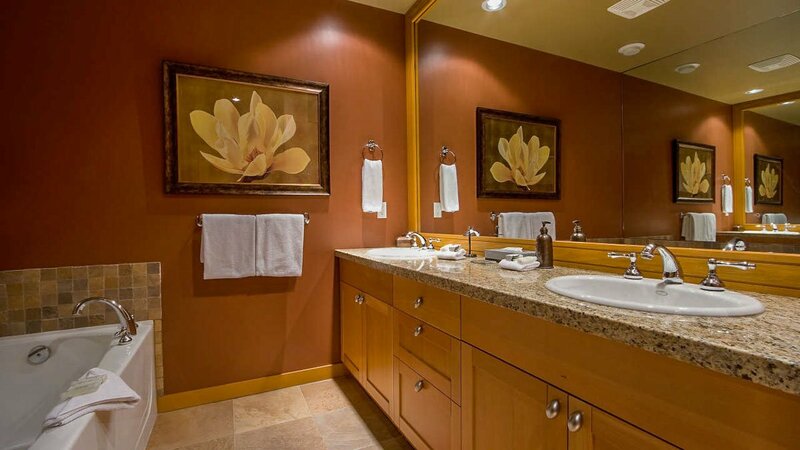 The master ensuite features a double vanity, deep soaking tub and a separate glass-enclosed shower. 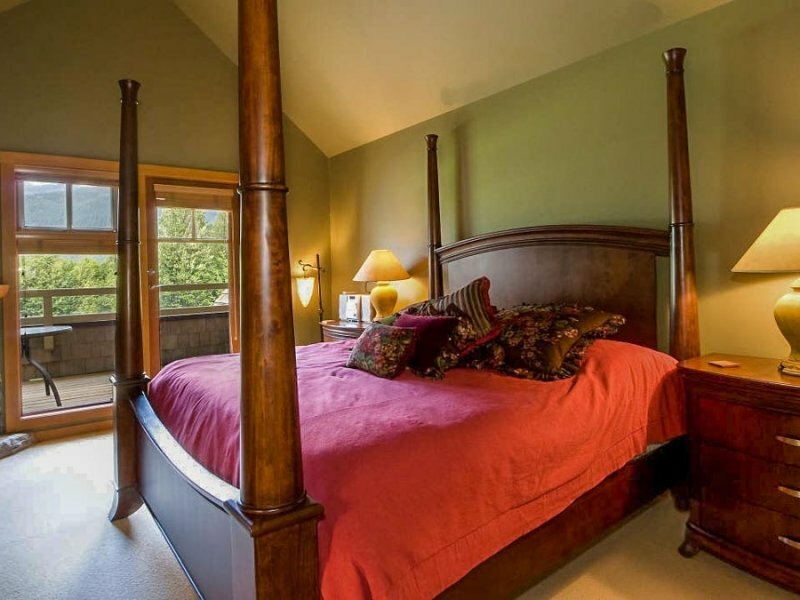 The second bedroom features a queen bed and large dresser. 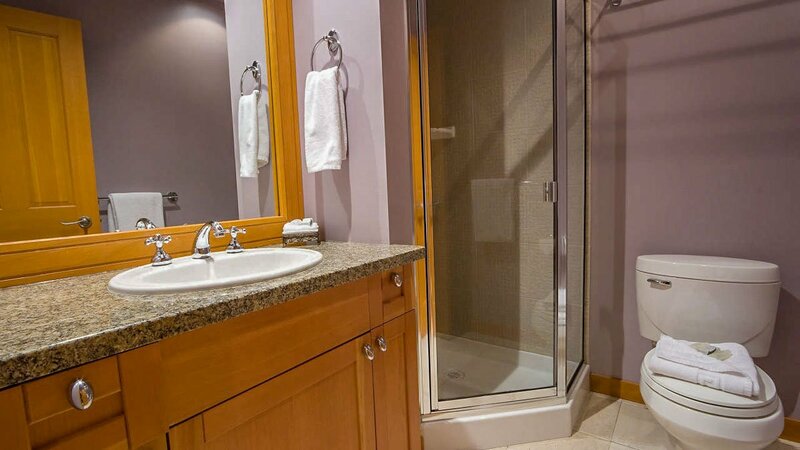 The separate bathroom features a glass-enclosed shower. 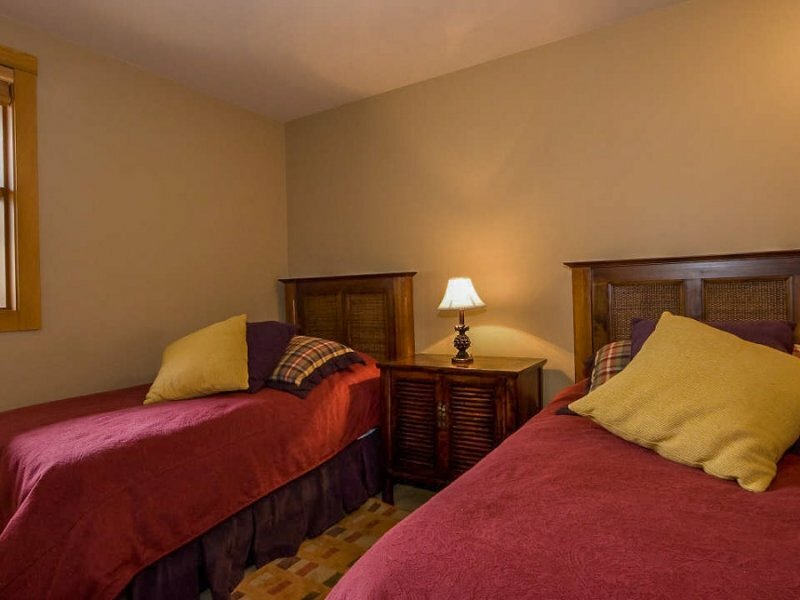 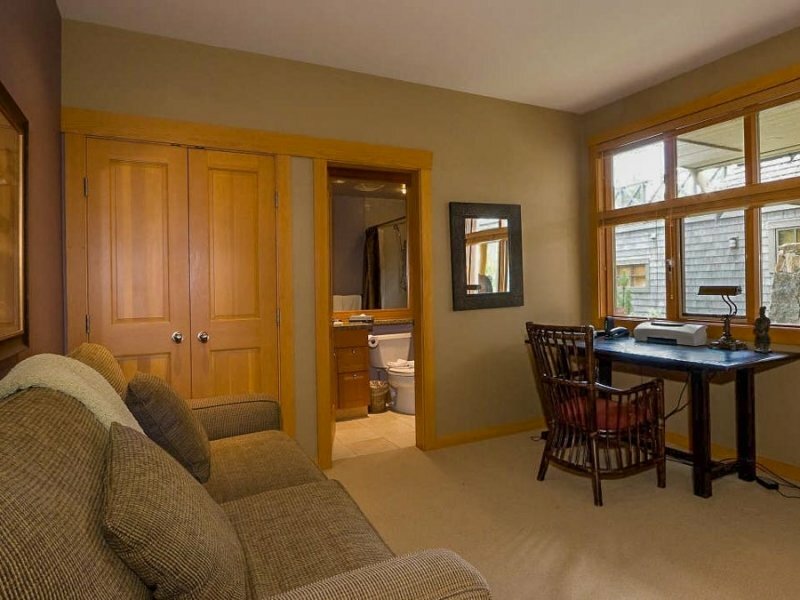 The third bedroom features 2 twin beds and an ensuite with a bathtub and overhead shower. 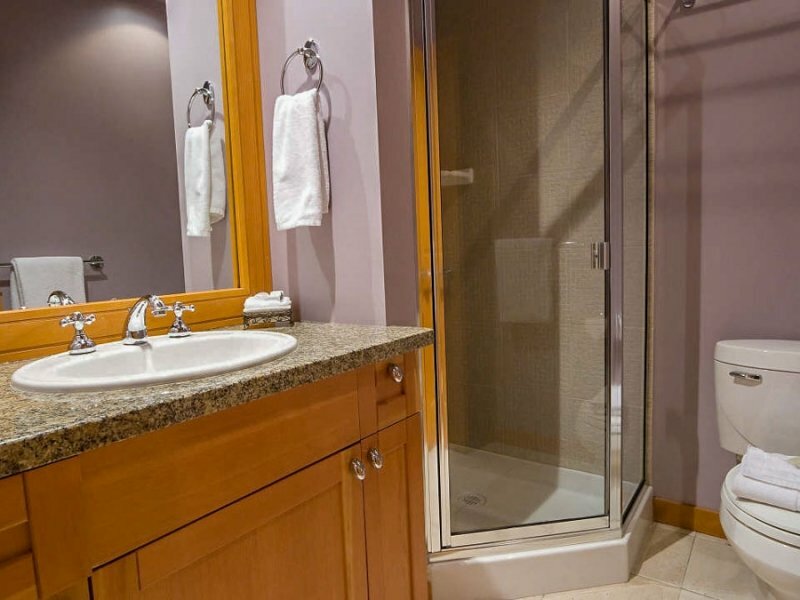 On the main level, the cozy den with flat screen TV features a sofabed for extra guests, small office area and an ensuite with a bathtub and overhead shower. 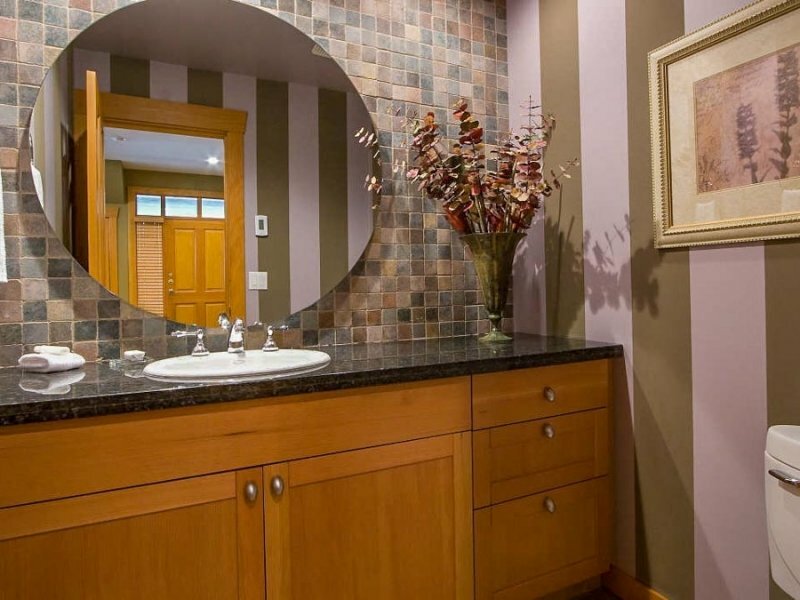 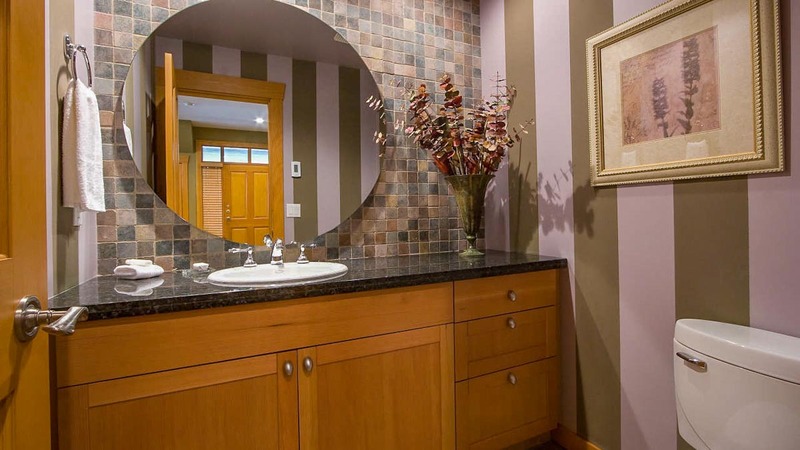 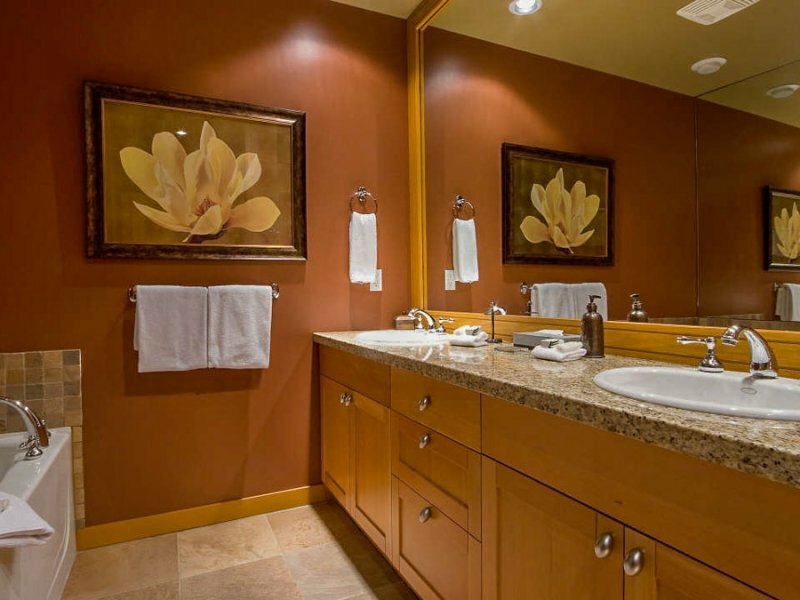 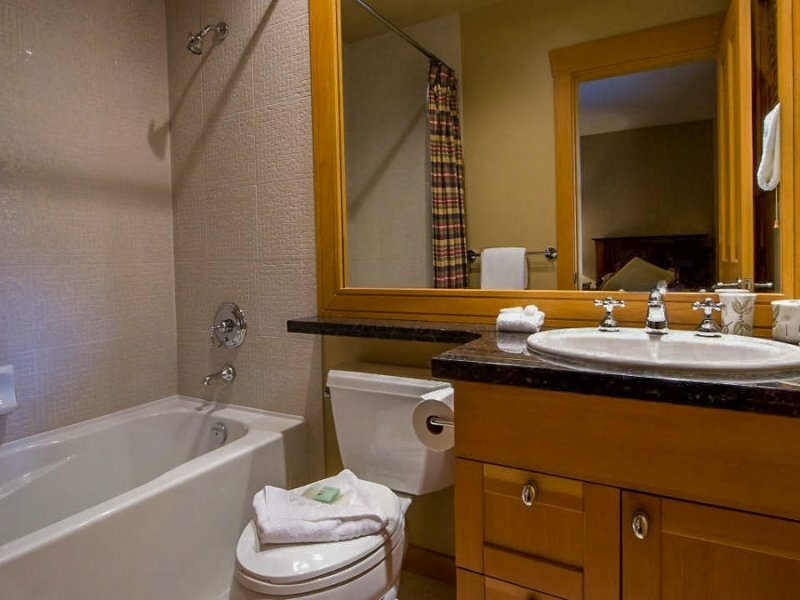 For added convenience, there is also a powder room located on the main level.